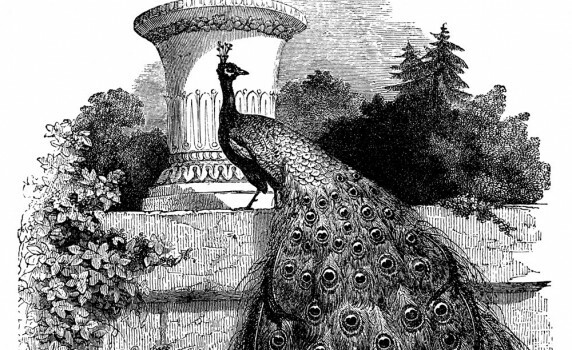 Beautiful black and white antique illustration of a peacock in a formal garden. 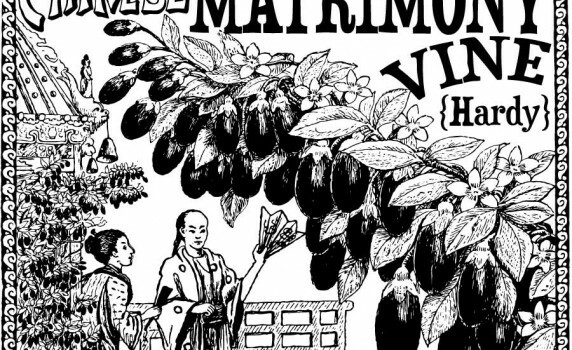 Here’s a lovely vintage advertisement for the Chinese Matrimony Vine – perfect for a vintage wedding present! 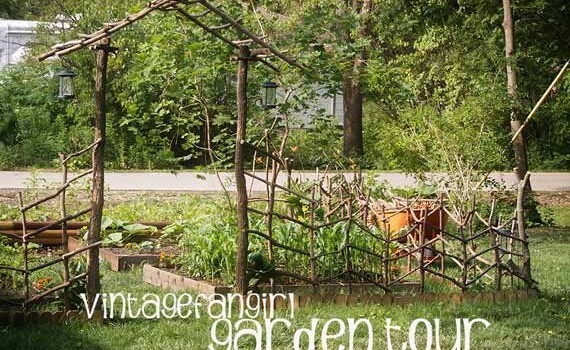 A beautiful vintage garden photo from a 1917 seed catalog – included is the original hand-tinted version plus a sepia toned version. 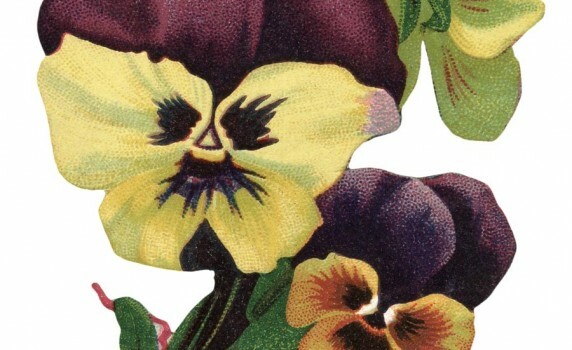 A beautiful cut out vintage picture of spring purple pansies from the late 1800’s. 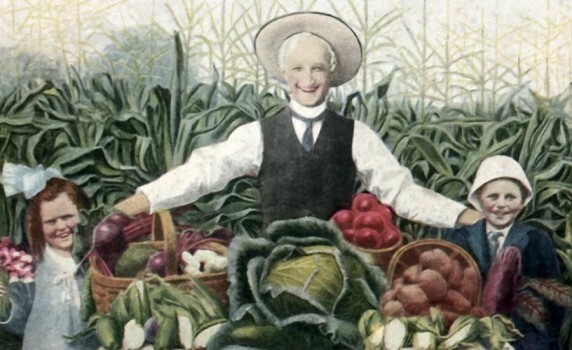 An engraving of ‘New Fringed Phlox’ flowers from an early 1900’s Burpee Seed and Garden catalog.